When you have already shared your public IP address with a client for accessing FTP/SFTP and due to some reason if your existing static IP address is changed and you don’t want to bother the client again for entering your new static IP address in allowed IP addresses list to regain access, what will you do? Solution: You have to follow very simple steps to get this working with the changed IP. 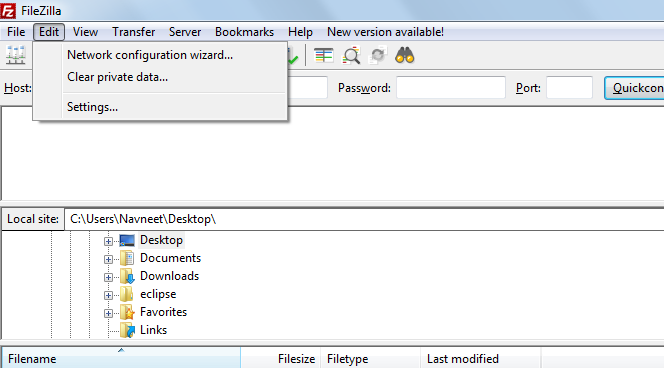 Step1: open FileZilla and go to setting option. 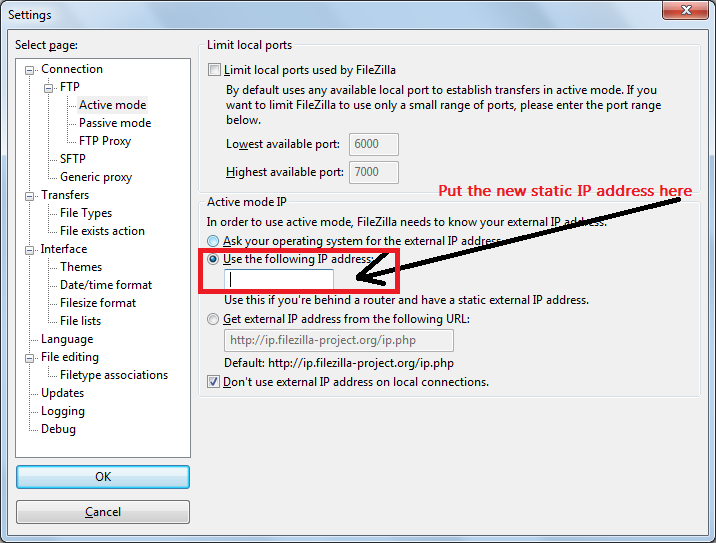 Step2: Select the Active mode from the left pane and enter the new static IP address here & click ok.